Fast Car Magazine Air Lift Competition Winner! 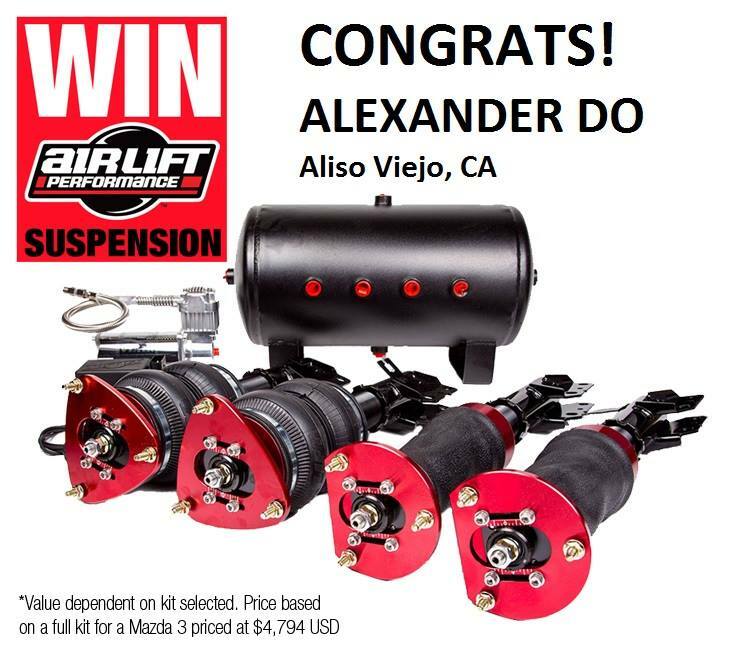 Congratulations to Alexander Do from Aliso Viejo, CA in winning the Air Lift competition! With the help of Fast Car Magazine, he’s won an Air Lift air ride kit for his Infiniti G37 Coupe. He’s running coil-overs right now, but not for long! We can’t wait to see the kit fitted. Well done Alexander! Congratulations to Alexander Do from Aliso Viejo, CA in winning the Air Lift competition! With the help of Fast Car Magazine, he’s won an Air Lift air ride kit for his Infiniti G37 Coupe. He’s running coil-overs right now, but not for long! We can’t wait to see the kit fitted.